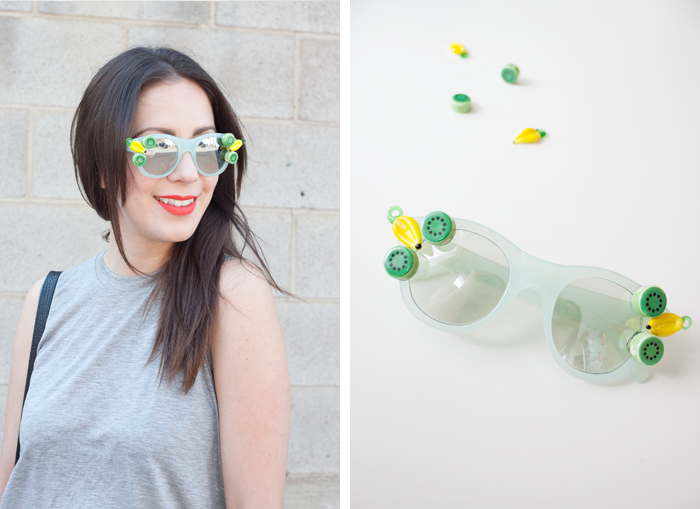 Sunnies and fruit go together like nobody's business during the summer, so I figured I may as well marry the two and call it a day. 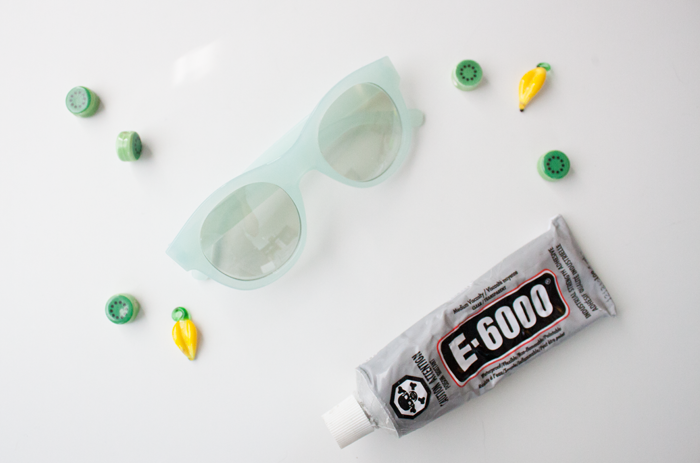 This project is beyond easy, and it's a great way to add some new life to your old sunglasses (I was just about to get rid of these ones!). And can we just talk about the snazzy Bel-Air I was lucky enough to snap a photo of these bad boys in last week? Amaze balls. This beauty of a car belongs to none other than The Pretty Secrets, and I somehow managed to get this shot while she was driving me home... magic. But enough about that, on to the project! 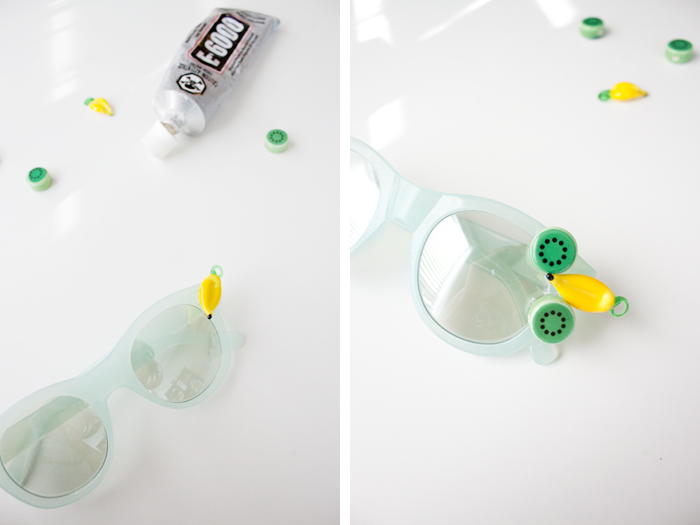 This one is pretty much as easy as it gets — just glue your fruit beads onto your sunnies and give them some time to dry... After that, you're in business! 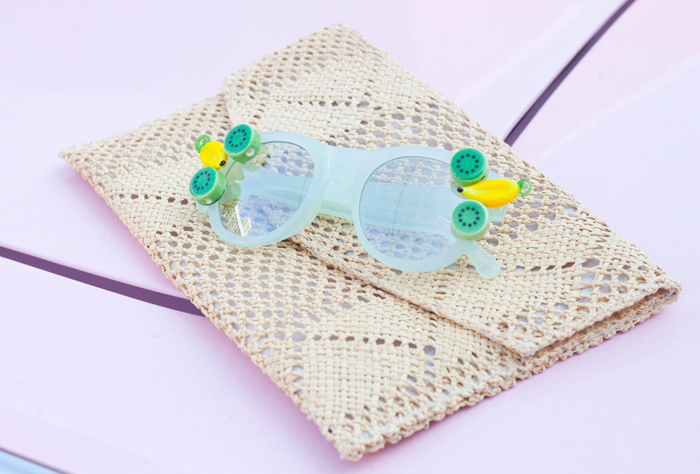 Chiquita Banana's got nothing on you. Sidenote: You might have to turn to Etsy to track down some interesting fruit beads, but I was lucky enough to source mine from a local bead store... You might get lucky and find something similar at a place like Michaels, but either way, it'll likely take some hunting! 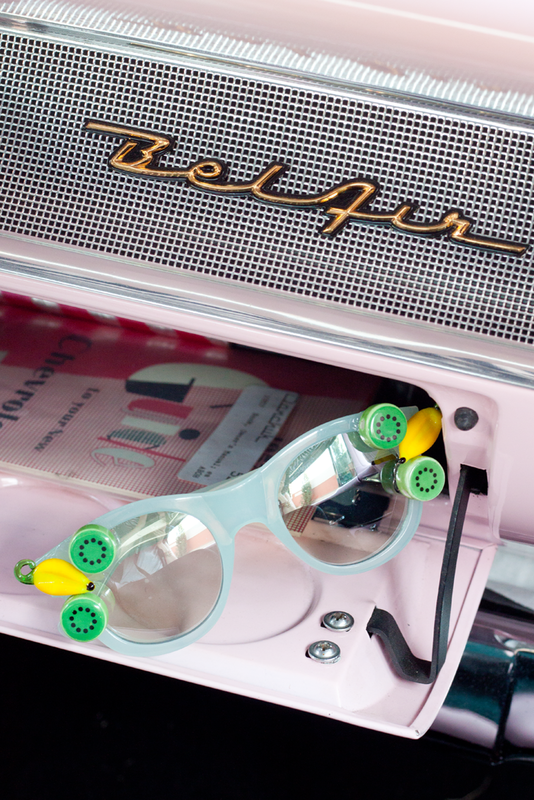 A vintage straw clutch on a '57 Chevy Bel-Air trunk, topped with these larger-than-life sunnies? Mmmm hmmmm.